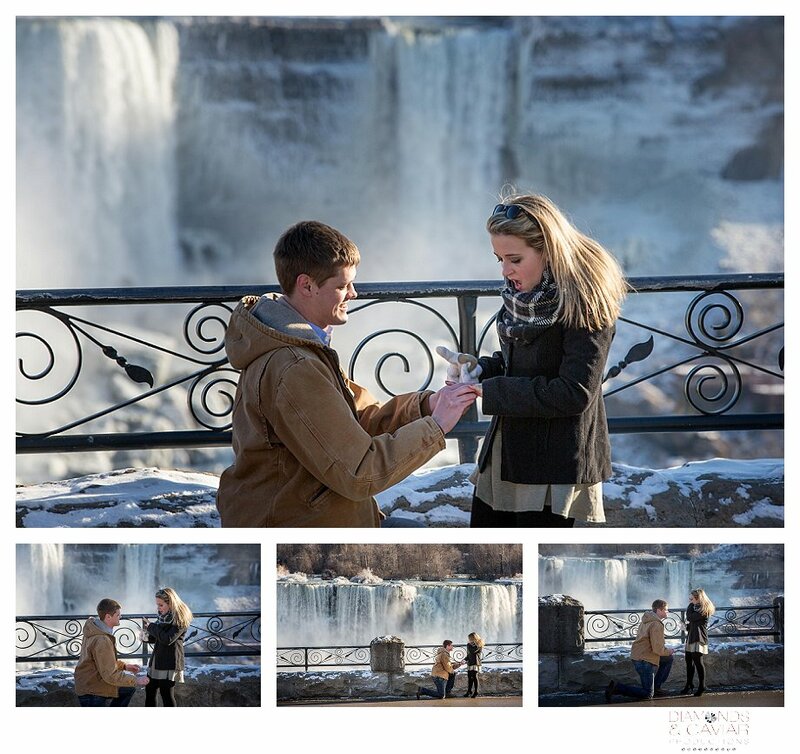 Clayton had contacted me a couple of weeks ago to ask about getting engaged in front of Niagara Falls and wanted to do it on January 6, 2017, which was no problem; we discussed the weather implications, and considering he was coming from Alabama, I wasn’t sure he really understood what winter meant up here; Of course we get one of those bone chilling, sub-zero days on January 6 for their Niagara Falls engagement photography. The day arrives, I meet with Clayton while Leborah is at her spa appointment, we plan out the area to ask he. 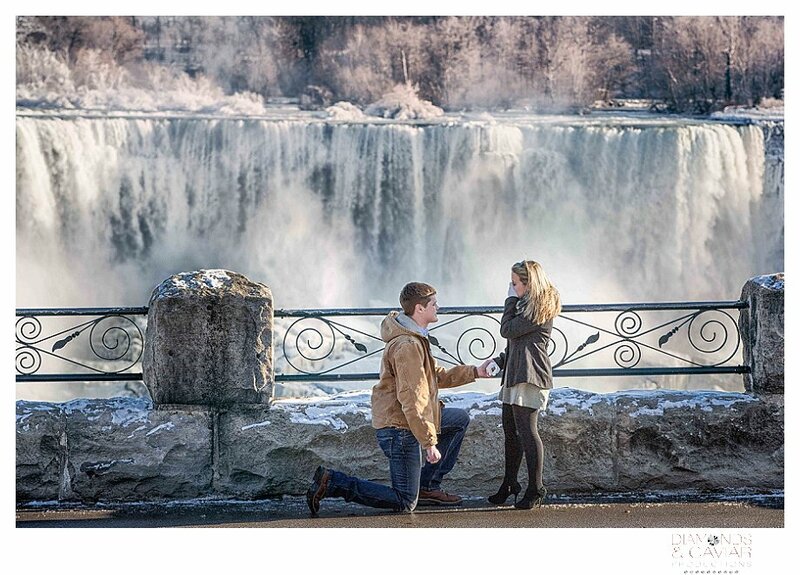 He explains that she has always wanted to come up to Niagara Falls, so he brings her here and has everything planned out to surprise her with the proposal and ring. After her spa appointment, they would have lunch overlooking the Falls, then go for a walk afterwards. While we’re looking around, I realize Clayton is walking with his jacket wide open, oblivious to the cold surrounding us. I attribute this completely to nerves, because as I comment on this, he totally shrugs me off. We split up and meet back up at the designated time and everything goes as planned, when he finds his spot; well, the pictures pretty much say it all. Enjoy this awesome couple, whom I had a great time with and would like give a big thank you for braving the very cold conditions; I know the pictures don’t show it, but it was cold and coming from a Canadian, that says something.